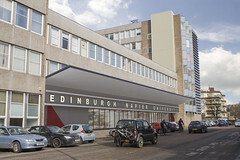 After the completion of what became known as the Jack Kilby Centre, further work for Edinburgh Napier led to an exciting possibility of reorganising the University’s entire Merchiston Campus. The campus is surrounded by Morningside middle class housing and had already been well developed up to its boundaries. Amongst the students it is also the most popular of the University’s four campuses, so the study initially looked at ways of increasing accommodation there. 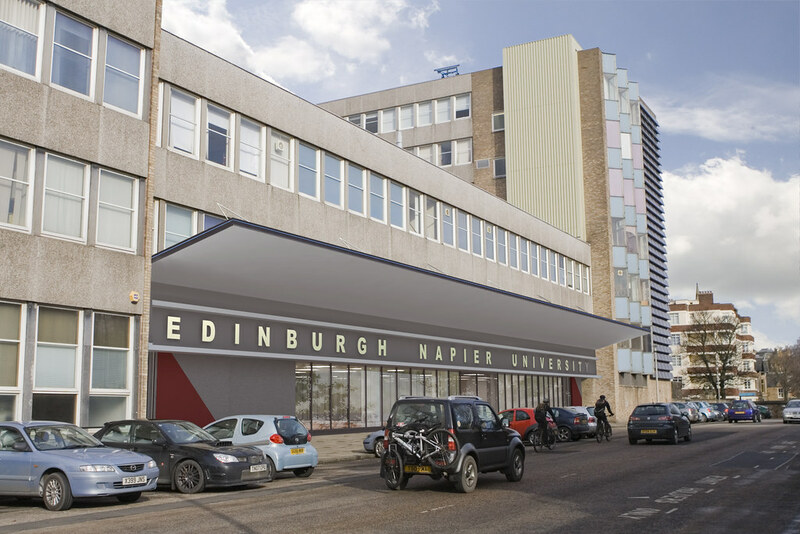 Our aim from the outset of this project was to rationalise Merchiston Campus by providing new or additional floor space as well as improvements to the quality of the facilities and campus environment. In the centre of the campus sits the tower house of Sir John Napier, the discoverer of logarithms. Astonishingly, in the 1960s this was skewered by the main internal circulation which then developed around the campus as a typical wandering labyrinth of mostly artificially lit corridors. The practice took this opportunity to introduce the ancient idea of the cloistered court in which would sit the tower, now de-skewered and landscaped with a reflecting pool. At a stroke, the campus would have had a recognisable heart, but more importantly, the entrances to all the major destinations would have been located within the cloister. The geography of the entire campus could thus be grasped on entry. ways. 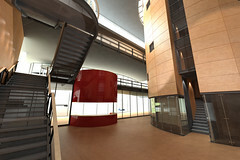 Entrances to all parts of the campus will lead off from the new external central space and surrounding cloister. 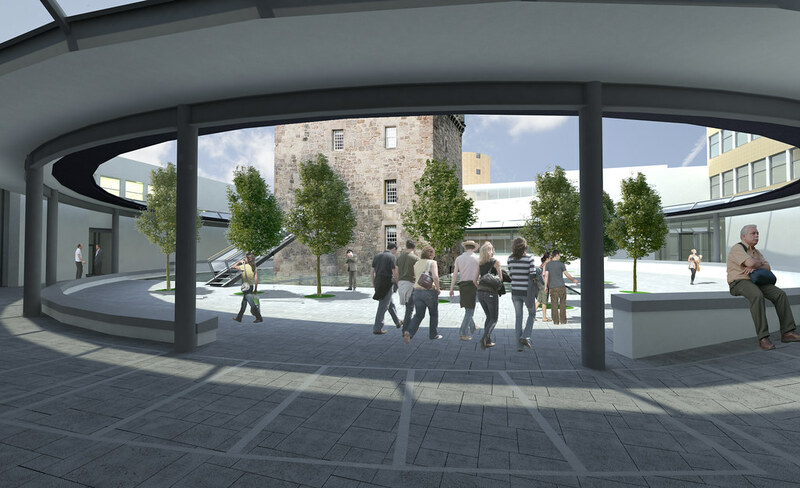 Moving the current reception and administration areas to new accommodation beside Colinton Road creates a more secure entrance to the campus and restores the listed Merchiston Castle to a stand-alone landmark. The existing single-storey chaotically planned library was to be relocated to a new atrium design in the current service courtyard and new teaching accommodation constructed where it had previously stood. The creation of a new library would rationalise and bring together the existing accommodation from two separate sites and a very sprawling building, as well as expanding that accommodation considerably both in terms of space and quality. 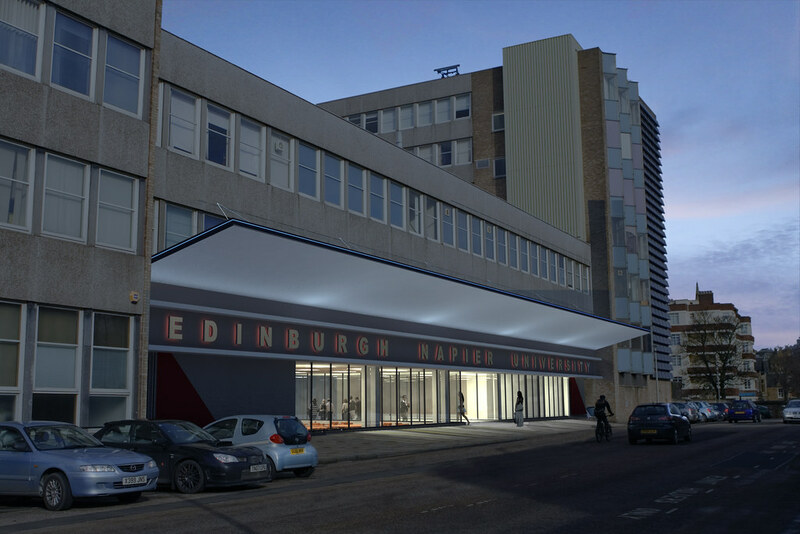 The existing area of the library could then be redeveloped to provide new office and teaching accommodation, a new service yard, and also a new 400-seat lecture theatre, easily accessed separately from Colinton Road. 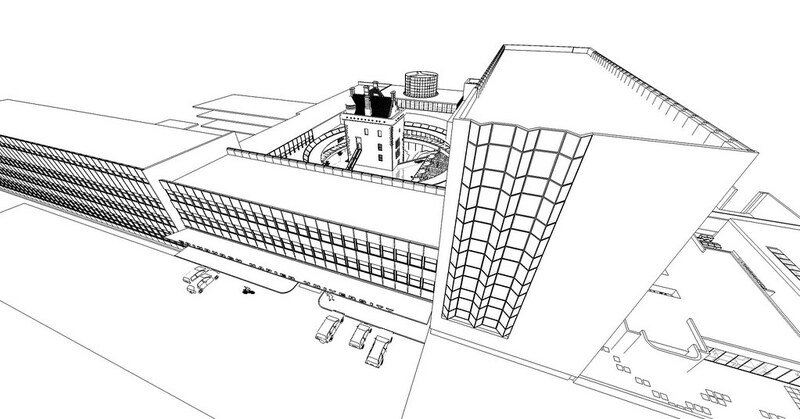 And significantly, much of the overall current experience of long, winding corridors would have been removed. A second, later study maintained the cloister concept, but looked at making a music auditorium as a base for the Scottish Chamber Orchestra alongside a relocated music facility instead of a new library. A decision to concentrate the future of the University at its Sighthill Campus effectively put an end to both ideas.